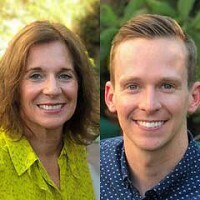 Mom-and-son team Martha Spelman and Pete Evenson DIY-ed their own packing band solution by using rubber bands to keep clothes neatly rolled and organized on trips. When they forgot the rubber bands en route to Hawaii, they decided they could make a better, more durable version to keep luggage in check and to do many other jobs, too. 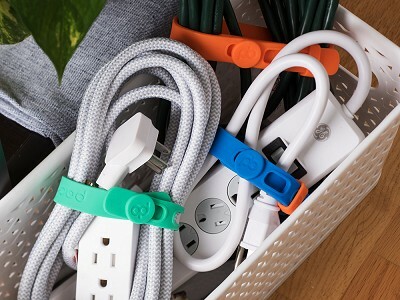 Packbands are made of slightly-stretchy and flexible silicone, so they can adapt to the task at hand—make that, many tasks. Corralling cords, sealing up open chip bags, wrapping up a yoga mat, and organizing clothes are just a few of the ways Packbands can help keep your stuff in check. 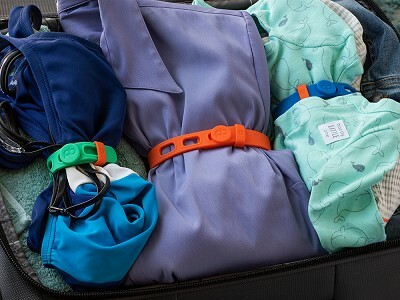 A plus and minus stamp on the band is a handy way to keep track of dirty and clean clothes when you’re traveling, and a loop secures the band or lets you connect a few together to wrap around larger items. 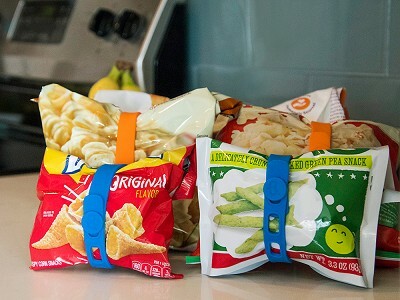 From trips to staying organized around the house, the uses for Packbands are (almost) endless. What is the +/- for on the loop of the straps? Each band includes a securing loop marked with a +/- sign to indicate clean or soiled clothing. Can the straps be combined together? Yes, you can combine the straps together to create a longer strap if desired. Is this just for rolling and packing clothing? Not at all. Packbands are a multipurpose organizational tool. 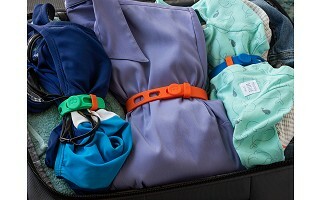 You can use them to wrap cords, secure a yoga mat, close snack bags and more.